Everything we bought was from our first 2 newspaper-advertised sales. 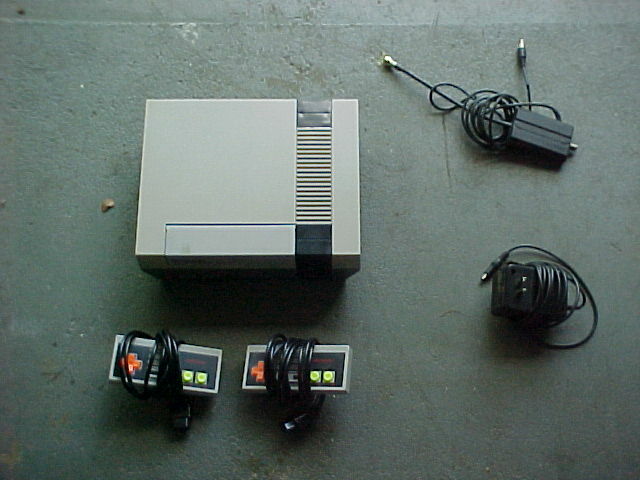 The first sale had the NES stuff. They were asking $5, I offered $3, they wouldn't budge, but I bought anyway. 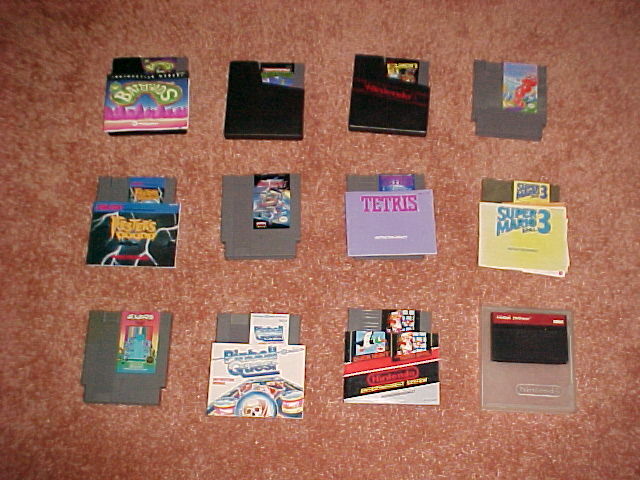 The only games that I already had out of the bunch were SMB, SMB3, and Tetris...and I wanted to get Battletoads and TMNT into the collection. Plus "Pinball Quest" was a game that Liz used to play as a kid all the time with her neighbor, so she was excited to finally own it. $5 wasn't a horrible price for what I got by any means, but I still would've liked it a bit cheaper. Ah well. Speaking of that, the 2 controllers that came with it had orange Dpads and Yellow buttons. Everything else about the controller is completely official, and the buttons look/feel like real NES buttons except for the color. Does anybody know what the story about them is? They look familiar for some reason, but I can't consciously ever remember seeing them. The second sale where we got everything else was awesome, which was run by a young easy-going couple. 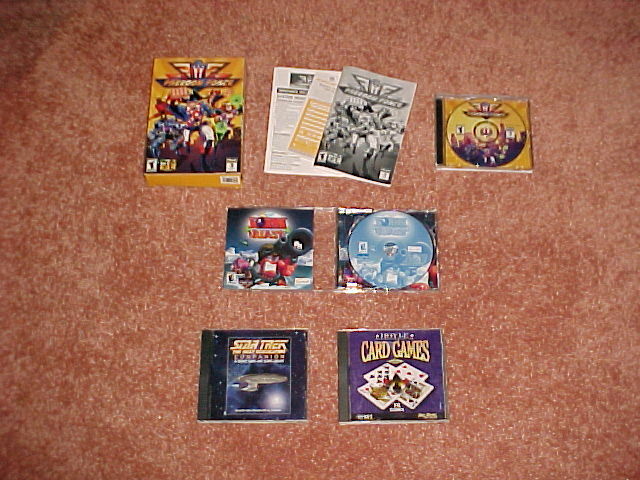 The PC games were next to a box that said "Free", and upon asking if they were free too, they said "Sure, why not? This is the free yardsale, we're trying to just get rid of anything. See anything else you like, just take it." I laughed, but then she said "Seriously!" 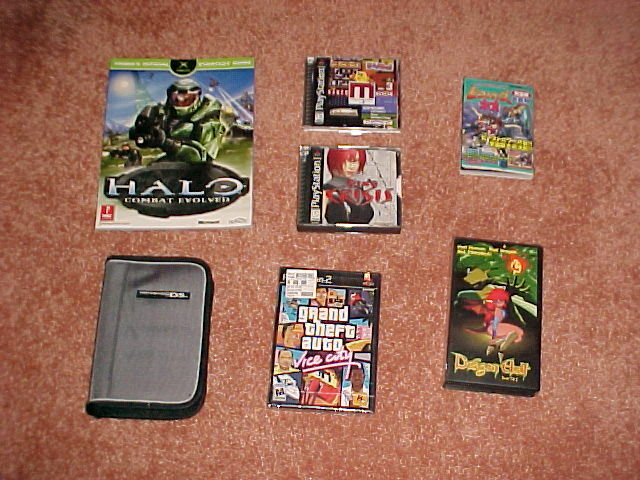 So we found the DS/Halo stuff, and then asked if they had any old videogame stuff that they wanted to get rid of. The guy brought out the sealed GTA and the 2 ps1 games, and I asked "How much are you asking?" His response: "Eh, just take 'em." So we were looking around at the other stuff, and Liz spotted the anime and manga. They wanted a buck for the video and a quarter for the book, but we just gave them 2 bucks because they were so nice about everything. They said "Tell your friends!" as we walked to the car with our arms full. Saw a blue Gamegear and 6 common games marked $30. I didn't even make an offer to the douche teenage kid running it. He also had a bunch of common GB games, but lord knows what he was asking for those. This week was pretty fun in terms of driving around. We were in the countryside/suburbs for most of it, and it was nice to stay out of the city. Nice to see a lot of "new faces" in this thread! I hope you all have good luck in your future yard saling ventures, and make sure to let us know about your finds!